Peter Dees is a television reporter. As one of the main reporters for GlobalStar Television, Peter Dees is a man who has gone everywhere in search of the next big story. Whether it is living with the Contras in Nicaragua, trailing American forces during a Panamanian uprising, or breaking the news of Cubans fighting in Angola, Dees is not afraid to stick his neck out. Nor is he afraid to tell dictators and tyrants how he really feels, no matter if the recipient of a piece of his mind is the leader of a country or his bosses at corporate headquarters. Sometimes the only thing that keeps Dees employed is the fact that he gets the story and he gets it on camera. This ability to get the story is crucial when a reporter has a tyrant for a boss like the owner of GlobalStar, McKinley Burke. To Burke the only thing that really mattered was Burke but GlobalStar came a close second and Dees was good for GlobalStar. He had been so for six years at the start of the series, despite a couple of run-ins before with Burke. The attitude does not change as the series continues but Dees remains steadfast in his ways as always. Dees is an interesting man when it comes to internation intrigue. He knows how to fight and he knows how to use a gun and he really does not want to do either. But he wants the story and if it takes dealing with fists and firearms, he is willing. But his hands are likely to shake violently later. The two adventures that Dees gets deeply involved with are both filled with international implications and global consequences. Both could easily get Dees killed but both could also keep him where he wants to be - in the middle of the story. Peter Dees is on to the biggest story of his career; a power-hungry leader is stockpiling enough chemical weapons to destroy the entire region. The more he learns, though, the more informers are suddenly being murdered. 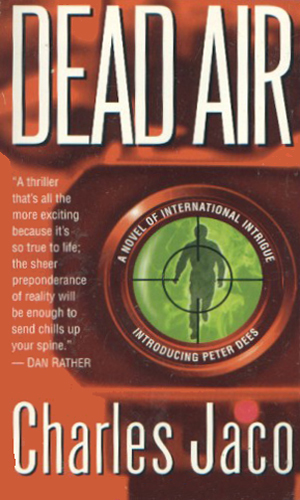 The approaching death of Fidel Castro is throwing the entire region into turmoil and Peter Dees is at the center when he learns of a plot to rule the area by a man who has a nuclear bomb and isn't reluctant to use it. Journalists in the thick of things is always a good plot device for telling interesting stories and Mr. Jaco uses it very well. I am surprised there were only two books about this intrepid reporter as they are finely tuned and a good read. 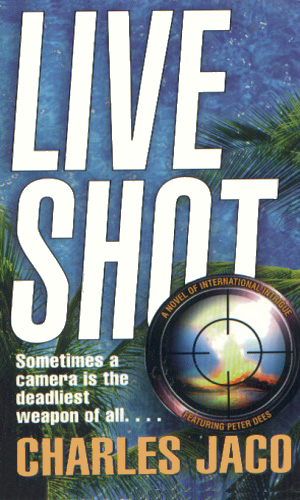 The author has gone to so many hotspots and dealt with so many stories of international natures that it begs the question whether Charles Jaco and Peter Dees are the same. Not that it matters. Dees is a terrific character and Jaco is a terrific reporter. It is fun to speculate, though.